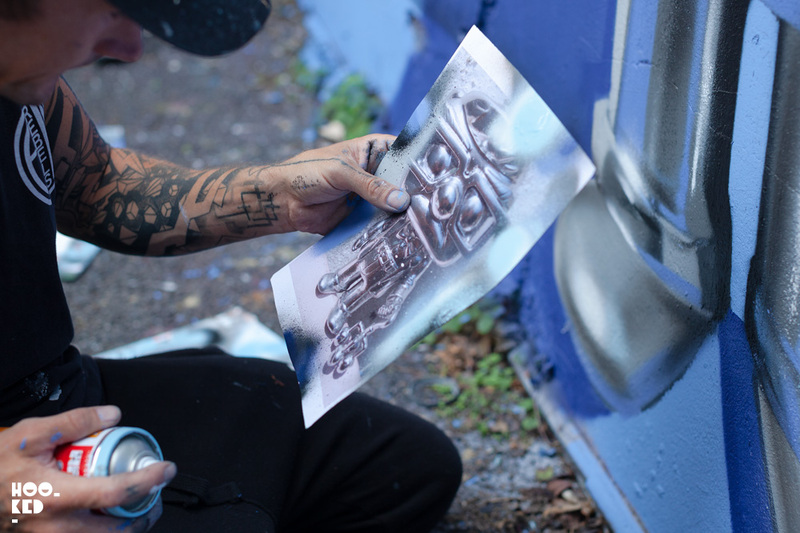 With some free time this week we were fortunate enough to catch up with London based graffiti artist Fanakapan. 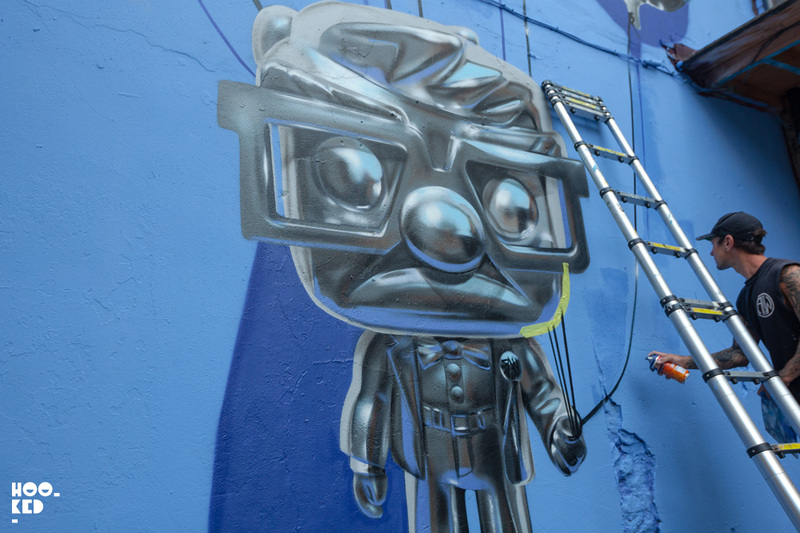 Known for his impressive hyper-realistic helium balloon inspired murals, the artists has been a regular on the London streets and the blog. 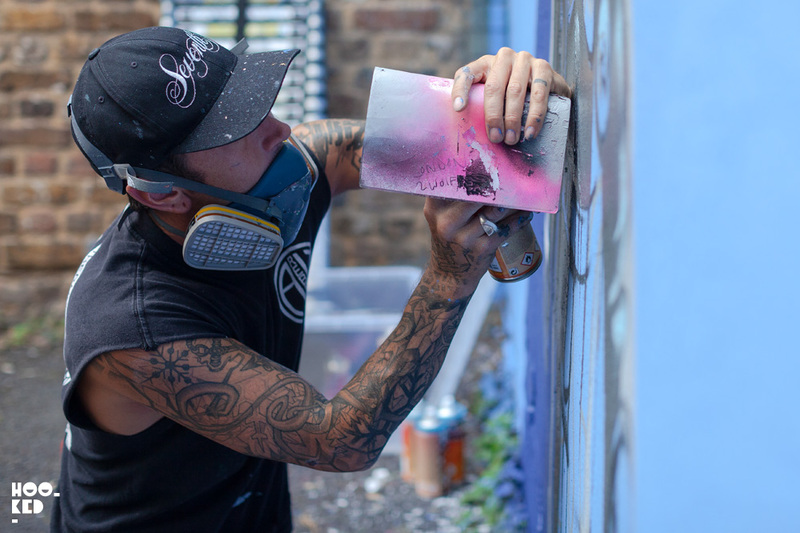 Hookedblog has previously featured the artist on the blog at the start of the year when he painted a number of murals in East London. 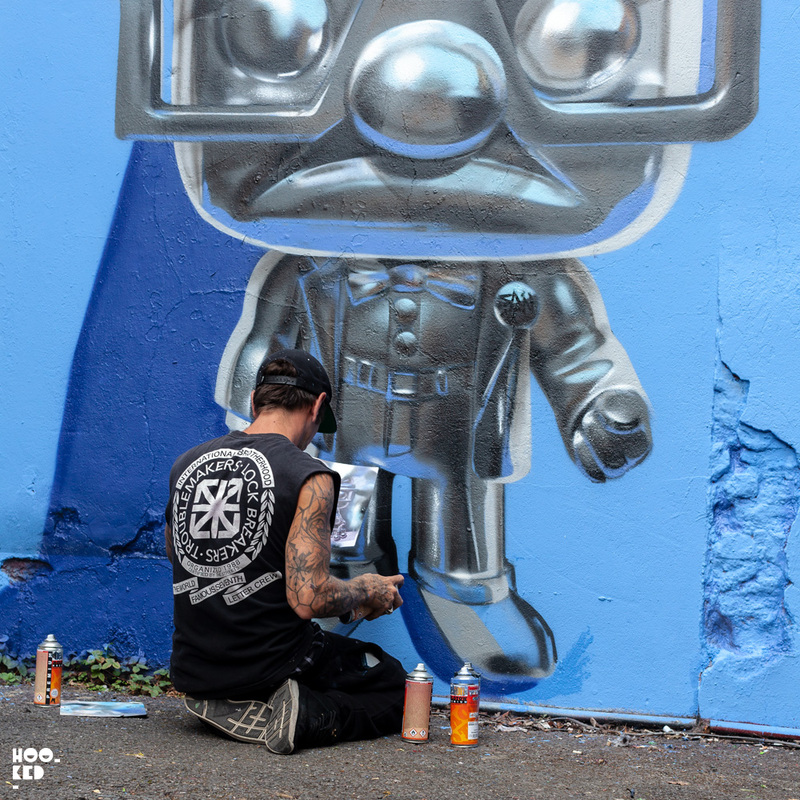 The ‘Follow The Leader' mural on Hanbury Street was painted by Fanakapan over the Christmas holiday period but what with the high turnover of mural works on this street the piece has since been painted over. If you missed this piece in person you can have a look at some of our photographs in the feature we did on the wall. About a month later Fanakapan painted the second piece further east close to Haggerston, featuring a love heart shaped helium balloon piece he named debrand/ rebrand. 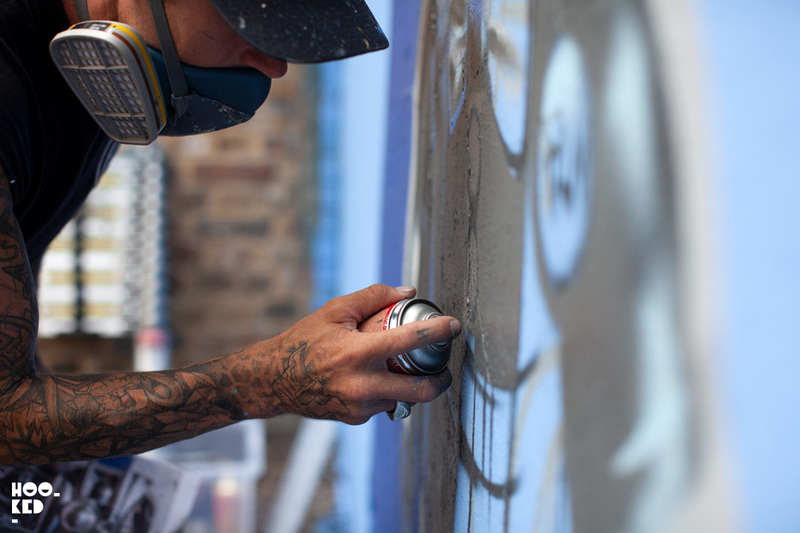 Following a summer painting at various international festivals, Fanakapan is back in London with a new mural and an exhibition. 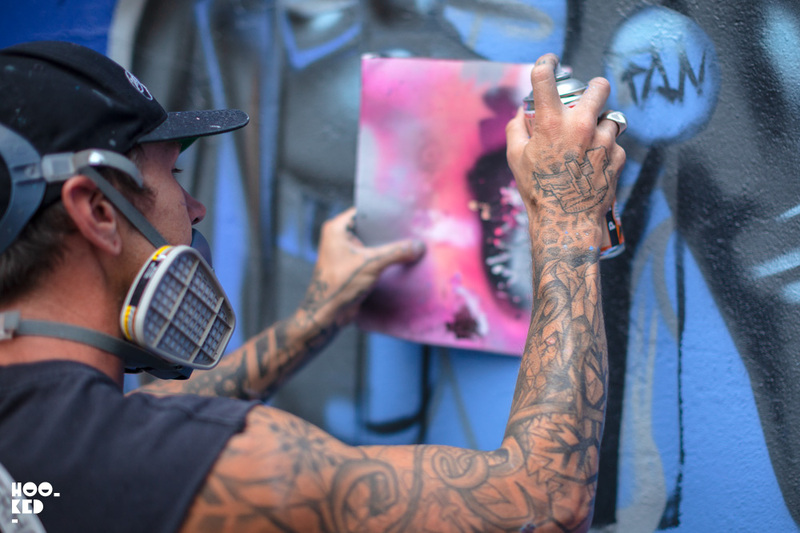 We stopped by over the three days Fanakapan spent working on this his latest mural titled ‘Up Yours’. 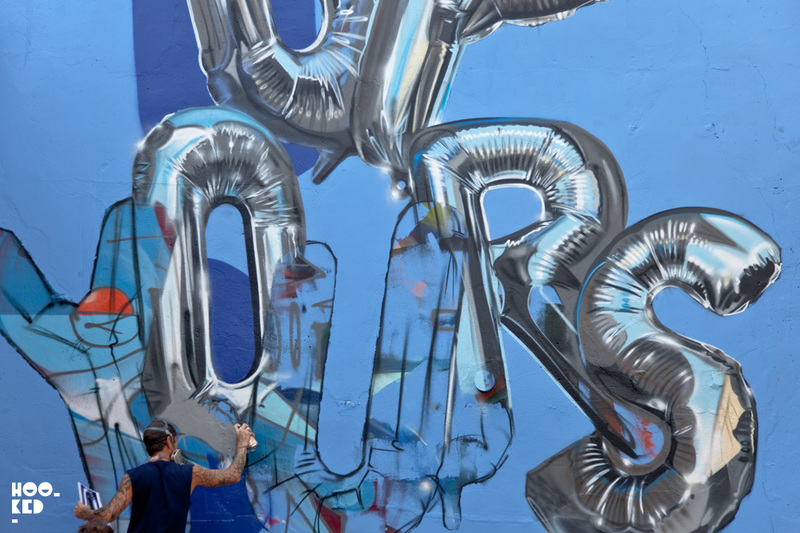 The work features the silver hyper-real helium letter balloons that he has become known for, with the balloon letters spelling out the ‘Up Yours’ message. Holding the strings attached to the balloons is a version of the 3D character Carl Fredricksen, the 78-year-old balloon salesman from the Disney / Pixar movie 'UP’. 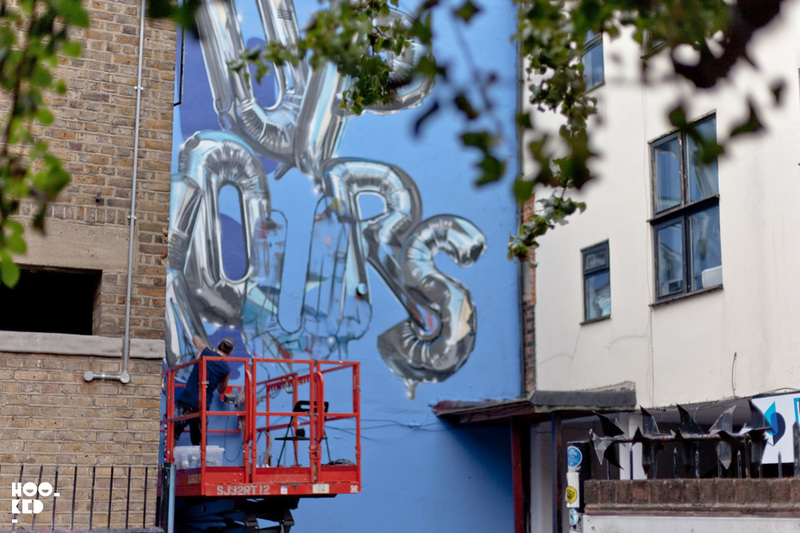 The new 'Up Yours' mural is located just off Brick Lane, halfway down Heneage street adjacent to the 5th Base Gallery which is also the location of the artist's Helios exhibition. Some of you might recognize the featured character as Carl Fredricksen, the 78-year-old balloon salesman from the Disney / Pixar movie 'UP'. Alongside this new mural work, Fanakapan will be hosting a balloon/helium based art show titled ‘Helios’ after the Greek god of the sun. 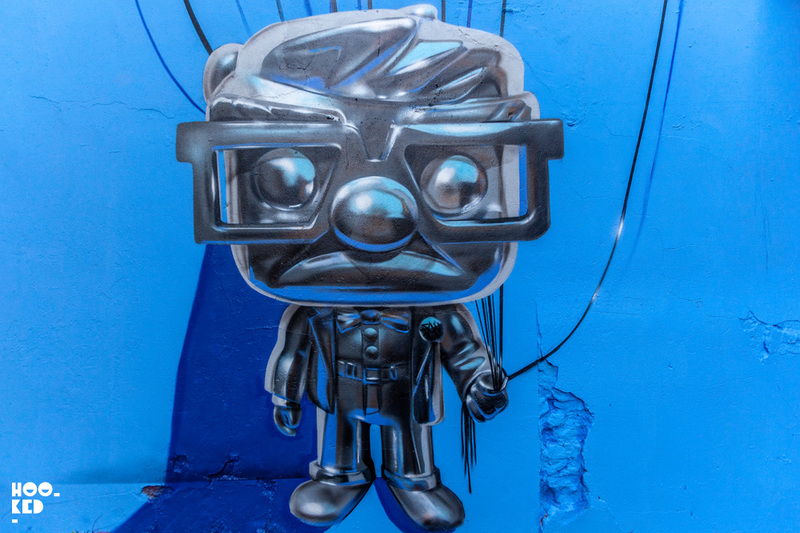 The show celebrates 150 years since the discovery of helium, featuring a collection of his latest work along with some additional works from other invited artists including Envol Studio, Nunovviegas, Jask and Silent stage. Helios opens on the 17th August 2018 (with a private view Thursday the 16th) running until the 22nd of August at the 5thBase Gallery on Heneage Street, London. 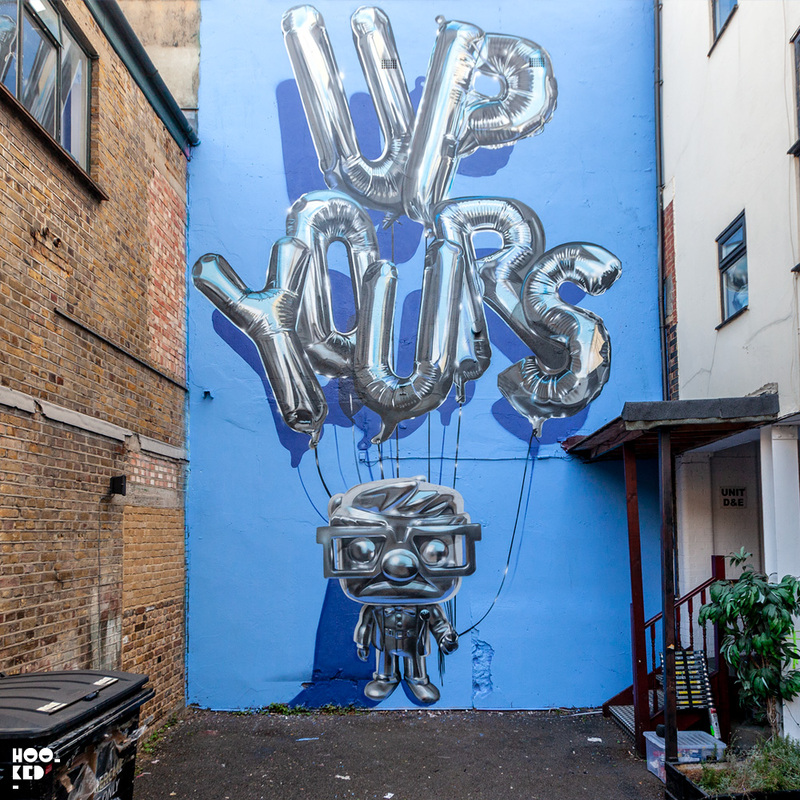 The completed 'Up Yours' Mural by Fanakapan. Distraction, Destruction and Power Tools Mural by Fanakapan.